The school admits girls in classes VI to IX through an All India Level Aptitude Assessments based on English, Hindi and Mathematics. The first Assessment is scheduled in the month of November every year for the session beginning 1st April of the subsequent year. A choice of approved centers is available for the November C.A.A. Subsequent vacancies are filled by assessment in Gwalior. 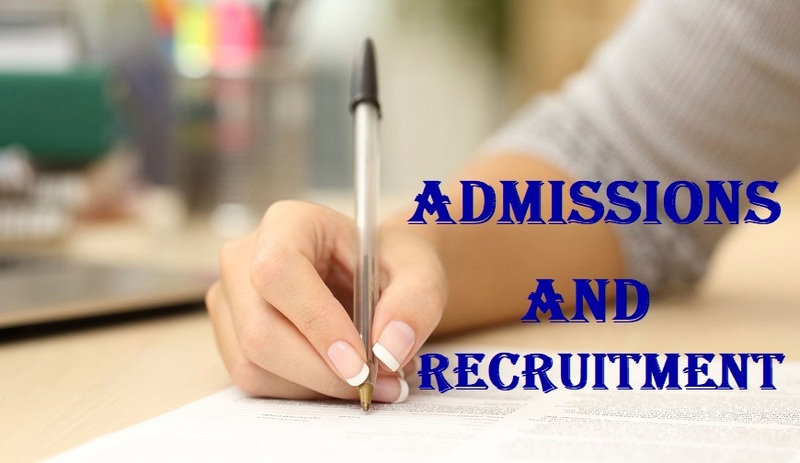 A provisional admission is given to candidates on clearing an Assessment based on class X syllabus. It is confirmed on achieving the cut off in the Board result. Registrations are open from the month of July for the next session. Download form from here for submission personally or by post. The Registration amount is Non refundable & Non transferable. If downloaded copy of registration form is used for the registration of the student, then a Demand Draft of Rs. 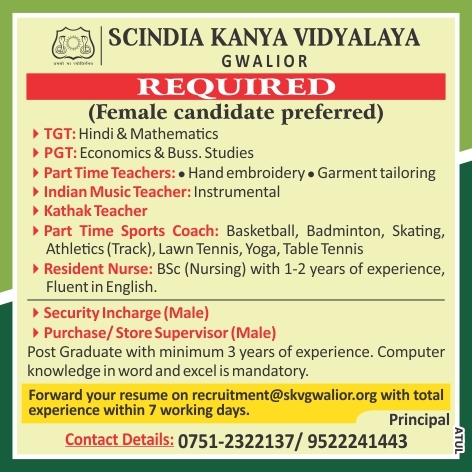 11,550/-( 10,000/- for registration +Rs 1500/- for prospectus + Rs 50/- postal charges) drawn in favor of "Principal, Scindia Kanya Vidyalaya, Gwalior" should be sent with the form. Copy of latest Mark Sheet. The School sends an admit card for the aptitude assessment along with the registration number after scrutiny of the registration form. Students are not permitted to remain in the School on failing a public examination of Class X and Class XII.